Last week, before I made the Ironman Coco-Nut Bars, I asked M to pick up a few ingredients on his way home from work. One of the things I asked for was unsweetened coconut flakes. 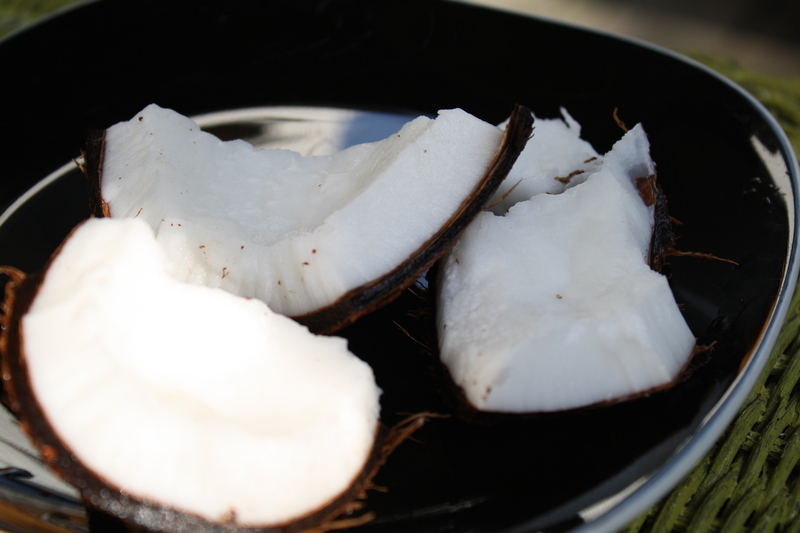 When he got home, he handed me a whole coconut. What? “They didn’t have unsweetened coconut flakes, so I got you this.” He says. 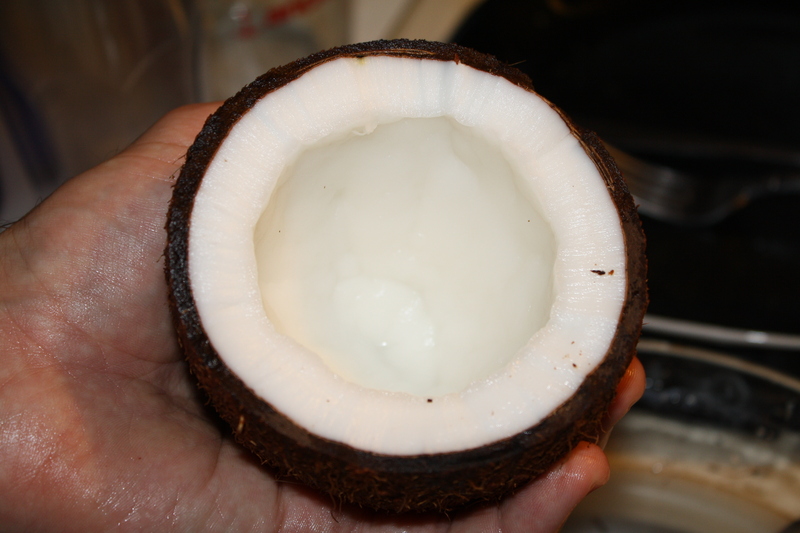 Much like when I was faced with a whole chicken, I had no idea what to do with a whole coconut. M promised that he’d take care of it…and he did! He Googled how to break a coconut. It’s quite simple actually: you just bang it with the back of a knife until it cracks open. 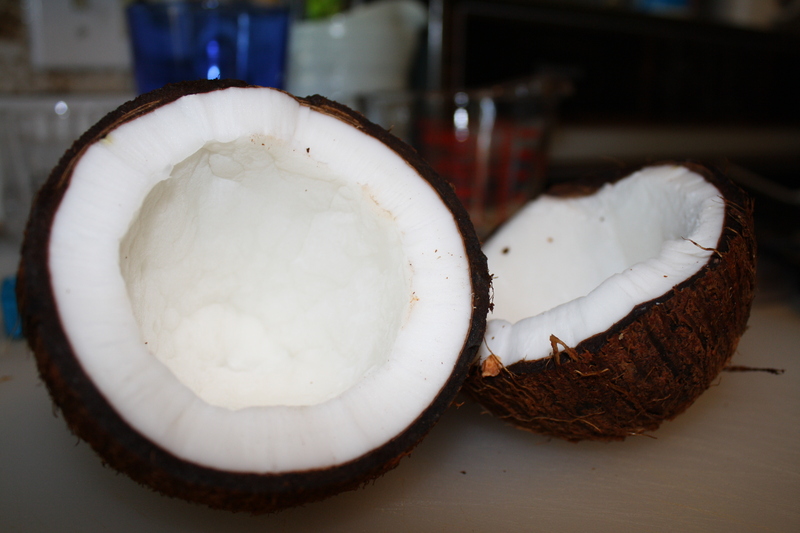 We poured out the coconut water and drank it–so much tastier than the stuff in tetrapaks. 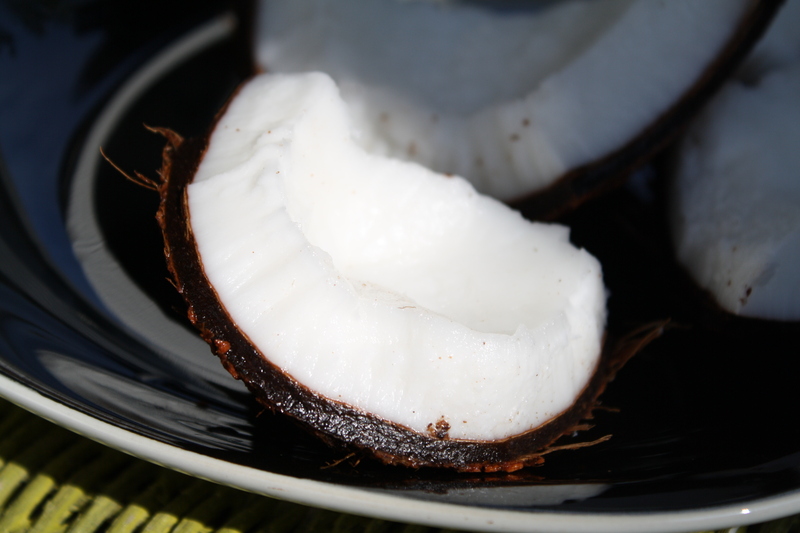 I think it’s actually sweeter and definitely more authentic tasting…mostly because it’s the most authentic…straight from the coconut. Then you continue hacking to break it into smaller pieces. You can eat the meat right out of the husk. That’s what that brown thing is called…right? Or is it a shell? 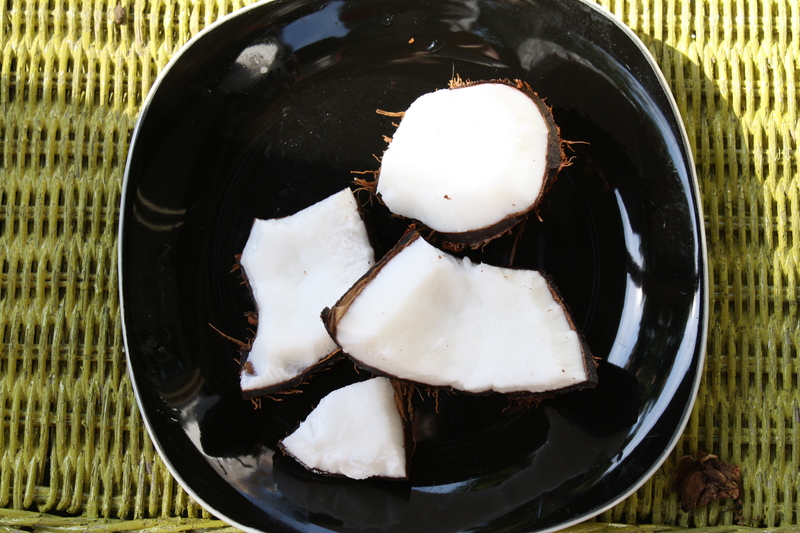 I found that fresh coconut is sweeter than the dried stuff–it makes a perfect after dinner treat. OR you could eat it for breakfast…like I did…today. Ooh, good timing on the cracking-open tip. I was about to take the coconut I bought yesterday up on the roof and smash it on the concrete. Your method is much more civilized. I couldn’t make the knife trick work. In the end, I had to go up on the roof and smash it (so entertaining). Maybe my knife skills are lacking? Mike had to hit it pretty hard with the knife… He also used the biggest knife we own! Did you get any coconut water? Or did the rooftop get it all? I was able to salvage some, which I drank under the full moon like a coconut werewolf.